Change management training and consulting experts (us included) have designed model after model to illustrate the different phases of change management in organizations. In general, the performance curves go down as employees deal with their fear and up as they realize and accept the positive effects of change. 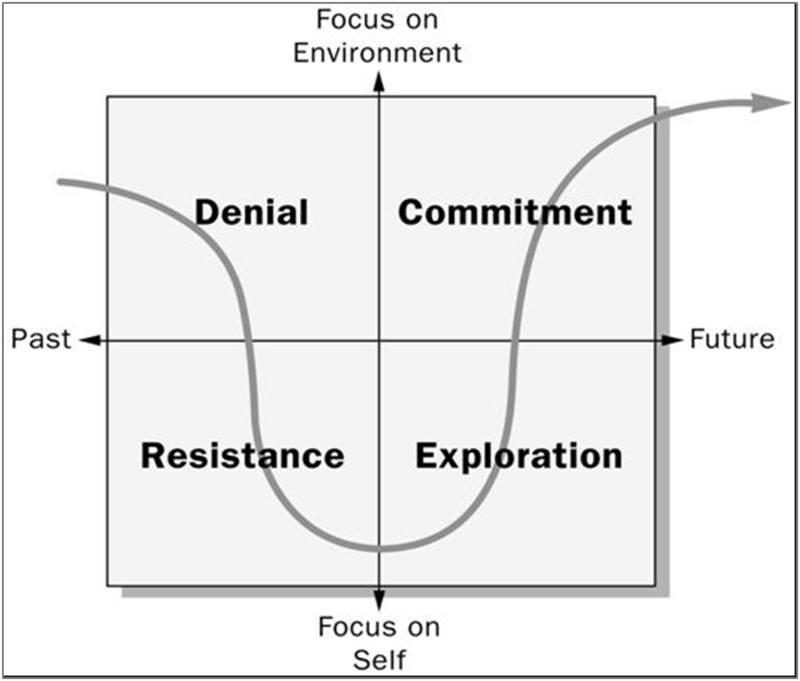 Unfortunately, most of these graphic models approach the idea of change from the point of view of the change agents. What about considering change more from the point of view of individual stakeholders? Not all change will benefit all stakeholders. For some, it may mean the loss of a job or uprooting the family to a new location. For individuals, to become part of the change or to reject it should be their choice and under their control. The better informed individual stakeholders are about how the change will affect them personally, the faster they can come to a decision that suits them…and the faster the organization as a whole can move forward with the change initiative that makes sense for the business as a whole. Overall, the goal should be change adoption. As you face the ups and downs of change, help your individual stakeholders come to decisions that make sense for them AND for the company.